Just because you’re on a gluten free diet doesn’t mean that you can’t enjoy something delicious from the happiest place on earth. 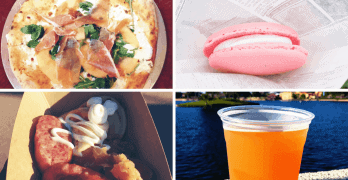 Below, you’ll find the top 10 gluten free treats that can be found all across Walt Disney World. Enjoy! Be sure to check out these 10 delicious gluten free snacks and treats. You won’t regret it! Plus, be sure to follow me on Instagram too for more delicious Disney goodies. Apple slushee, toasted marshmallow syrup, and passion fruit whipped foam makes this the perfect treat to enjoy on a hot summer day. You can find this frozen drink at Gaston’s in Magic Kingdom. If there’s one thing that you absolutely must get at Magic Kingdom, it’s the Dole Whip, especially the Dole Whip Float, from Aloha Isle. Pineapple juice topped with vanilla pineapple ice cream swirl arguably makes this the most talked about and enjoyed treat in Magic Kingdom. You can also find it at Tamu Tamu Refreshments at Animal Kingdom Park. P.S. Be sure to get the pineapple ice cream swirled with vanilla because it’s a little to strong by itself, unless you absolutely love pineapples. 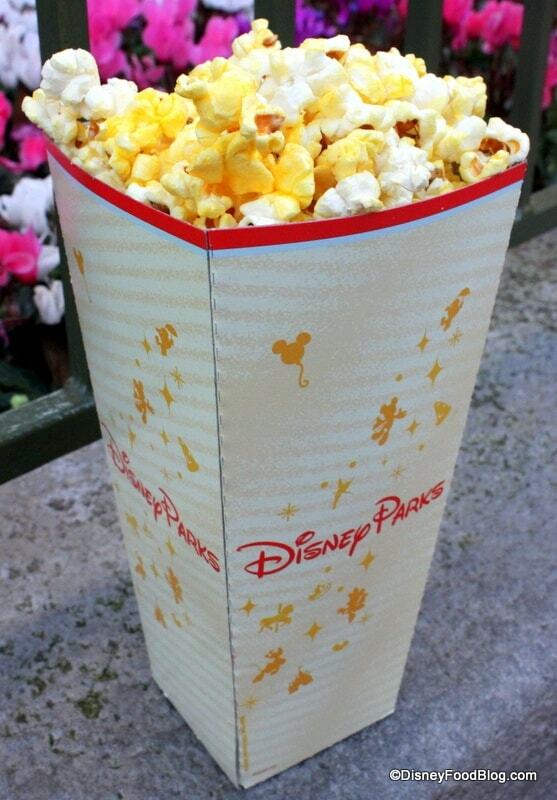 A quick, light, and perfectly salted snack you can find popcorn throughout the Disney Parks. And as an added bonus, Disney popcorn is also vegan! Plus the equally delicious bagged popcorn treats from the Main Street Confectionery at Magic Kingdom are also gluten free. Flavors include: caramel, chocolate, cheddar, and confetti. Located at Epcot, you’ll find this nice little french ice cream shop tucked away in the French Pavilion. Here you’ll find delicious gluten free sorbets and ice creams. As of right now, these flavors are gluten free: caramel, chocolate, coffee, hazelnut, mint choco, pistachio, pumpkin, and vanilla. Plus the pumpkin and chocolate macaroons are gluten free too! You can find these gluten free rice crispy treats at all Starbucks locations across Disney World. But just remember, the Mickey/Disney theme rice crispy snacks sold by Disney are NOT gluten free. There’s nothing better than creamy vanilla ice cream topped with hot peanut butter and chocolate syrup, whipped cream, chocolate and peanut butter chips, and a cherry. You can get this awesome treat form the Main Street Ice Cream Parlor at Magic Kingdom. Be sure to get this strawberry macaroon sandwich filled with vanilla and strawberry ice cream for the ultimate treat. You can find this at L’Artisan des Glaces in the french pavilion at Epcot. Enjoy some delicious creme brûlée from Les Halles Boulangerie & Patisserie. It never disappoints! For some reason, a chocolate dipped ice cream bar tastes better with Mickey Mouse Ears. You can find these wonderful treats at all the parks as well as most resort gift shops. Get Free Disney Dining Tips! Sign up for our free weekly newesletter! Be sure to also to follow us on Instagram for delicious Disney food pics and more, by CLICKING HERE. 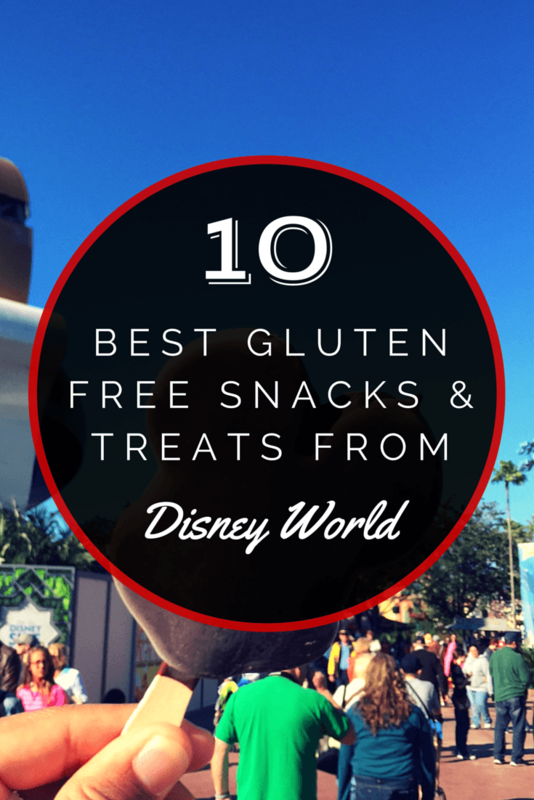 What’s Your Favorite Gluten Free Disney Treat? Did I miss something on the list? Is your favorite gluten free treat no listed? If so let me know what’s your all time favorite gluten free treat from Disney World by leaving a comment below! i just visited Magic Kingdom and went to Comic Ray’s Starlight Cafe with two other guests for a light dinner. Upon asking an employee about gluten free options on the menu, she gave me an allergy menu and said my meal will be on a green tray instead. I had options on my menu that were not on the regular menu (including a gluten free brownie)! Thank you Disney for making my dining experience easy and comfortable.